Advertising your fruit and vegetable company following the traditional rules, that is using magazines, the radio and the television, does not give you the certainty of success in economical terms, because you cannot be sure that the advertisement has been seen by the user or that has arouse its interest. However, on the Internet it is different, because you contextualize your advertisements with the contents that you want to advertise and you can track users’ interest checking the number of viewers’ clicks. From this concept were born web banners: web banners or banner ads are a form of advertising that through an attracting image or text redirects users, by linking them to a presentation page, to a promotion or to useful information. Web banners are one of the more popular advertising forms on the Internet and they represent a marketing strategy aimed at increasing the company activities and trading relationships. It is very important that the advertisement subject is related to the topics treated in the site and it is for this reason that each fruit and vegetable company (thus producers of fruits and vegetables, producers of exotic fruits and fresh vegetables, companies that deal with the import/export of fruits and vegetables, retailers of fruits and vegetables, wholesales and wholesalers of fruits and vegetables, wholesales of vegetables, producers of organic fruits and vegetables, producers of exotic fruits and seasonal vegetables, brokers between fruit and vegetable companies, transport and logistics companies for fruits and vegetables, companies for fruit and vegetable packaging, companies that sell 4th range products, etc.) can advertise its products and services on the sites of the Edysma group, a contextualized space, visited especially by operators of the fruit and vegetable sector. 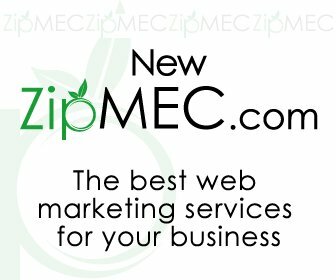 Zipmec.com, zipmec.eu, mecortofrutticolo.eu and zipmecdigital.eu are websites created with the purpose to help the trading relationships between operators of the fruit and vegetable sector. There are thousands of fruit and vegetable companies worldwide that employ our sites to keep being informed on the latest updating of this sector and to search for new trading partners. Publishing a web banner on one of the websites of the Edysma group assures to any fruit and vegetable company, or company linked to this sector, a very high visibility, in an easy, fast and inexpensive way. To publish a web banner employing animation in the spaces available on our sites and to know all the details, you can access the section “Advertisements” in the provided page on mecortofrutticolo.eu, or you can click here. To know how much it will cost to publish your WEB BANNER, visit our online store on www.mecortofrutticolo.eu.